Product based on synthetic resins, dispersion, fillers, stabilizer, H2O, UV-protection and others. High quality product with a wide field of application. 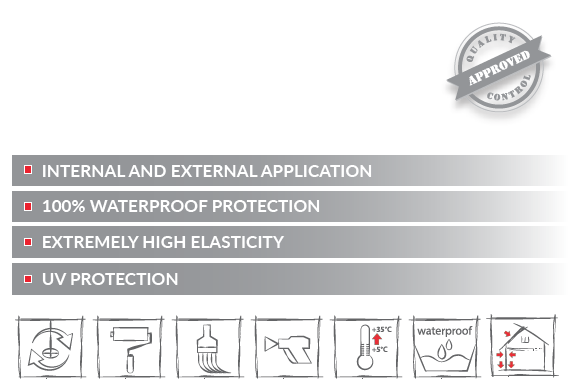 The elastic seamless waterproof coating allows for installation on roofs, walls and floors. The high adhesion allows for use on all construction materials, as well as transitions between screeds, concrete, galvanized steel, tiles, new and old bituminous coatings, wood paneling, glass, plastics, aluminum, polycarbonates, plasterboard and others. In many cases it can be a high-flexible adhesive. – to be applied on dry, oil-free surfaces that are pre-primed. Protect from wetting 12 hours after the application. Surface preparation. To be cleaned of sand, dust and larger particles. The cement drainage screeds should be slightly inclined and dry. The metal surfaces should be cleaned of grease and rust. If the substrate is of cement or lime a deeply penetrating primer should be applied that goes into a depth of 20 mm and fixes the substrate very well. In some construction surfaces there is no need of priming. 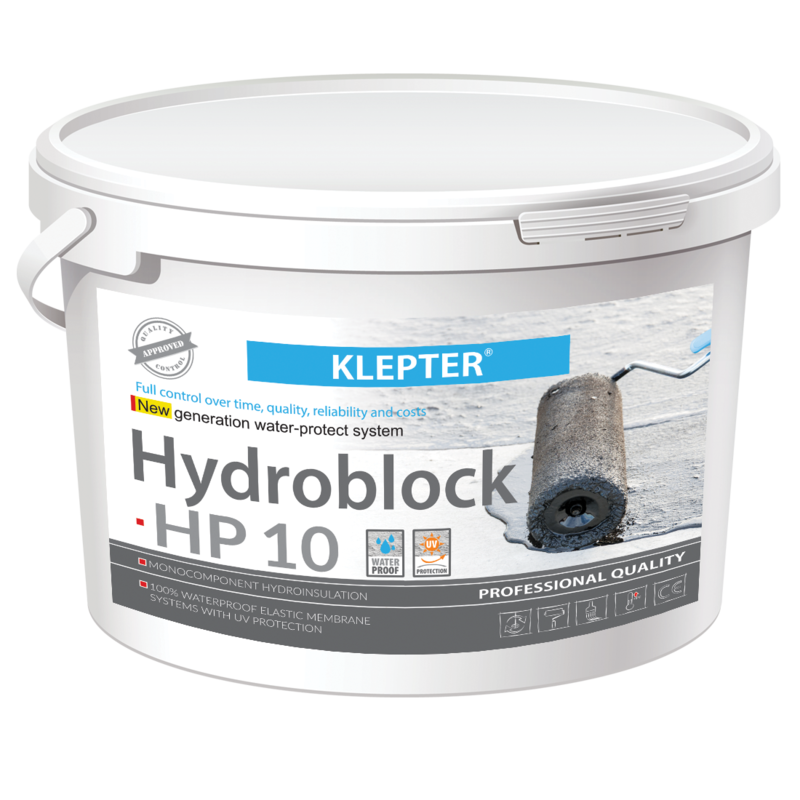 For three layers of 1.8 to 2.5 kg per square meter depending on the roughness of the surface.